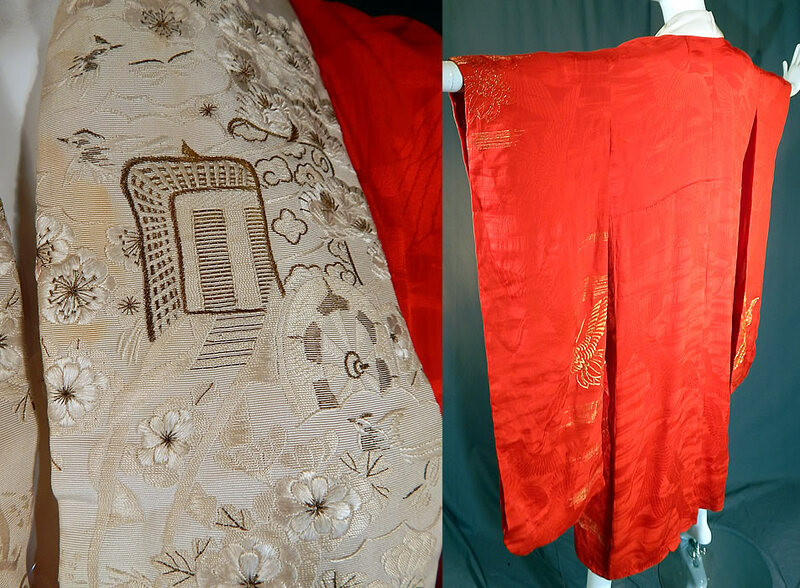 This vintage Japanese red silk gold embroidered cranes furisode ceremonial kimono dates from during the Showa period in the 1930s. 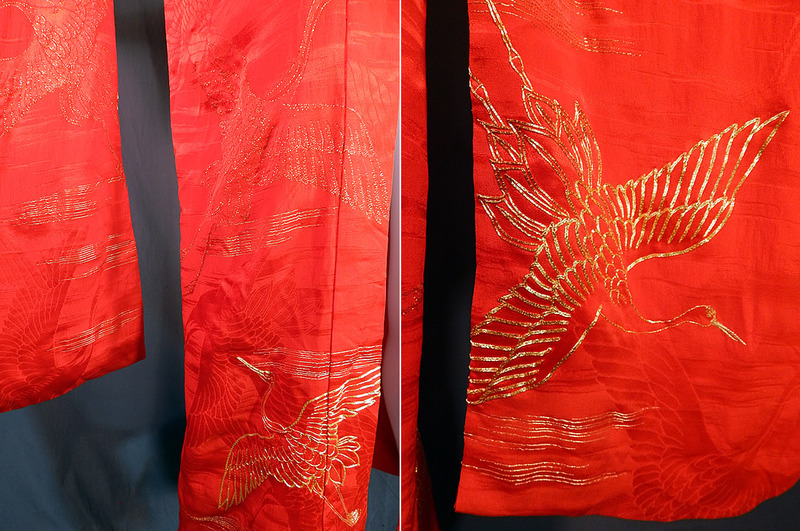 It is made of a scarlet red color silk damask weave fabric with a woven flying crane design and gold metallic thread couching embroidery work of more crane birds in flight. The crane is a symbol of luck, longevity and fidelity. 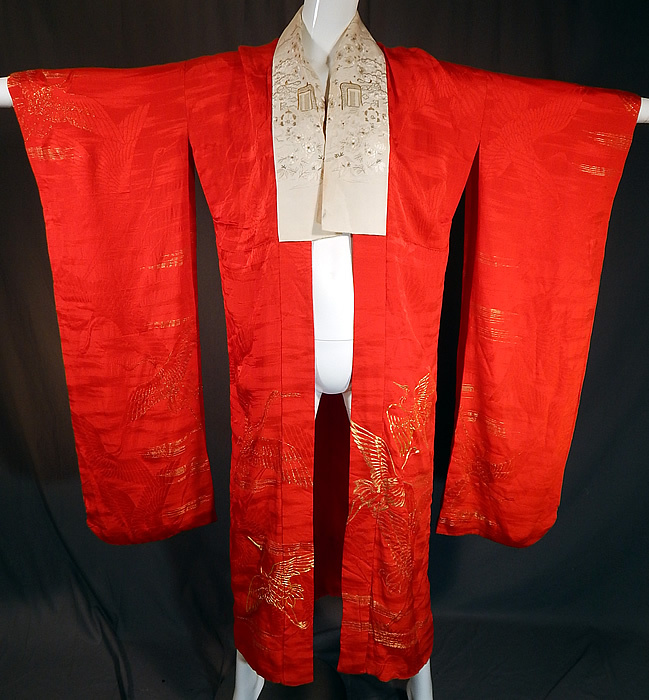 This fabulous furisode formal style kimono would have been worn by a young unmarried women for Coming of Age Day the year they turn 20 and worn for formal social functions and ceremonies. 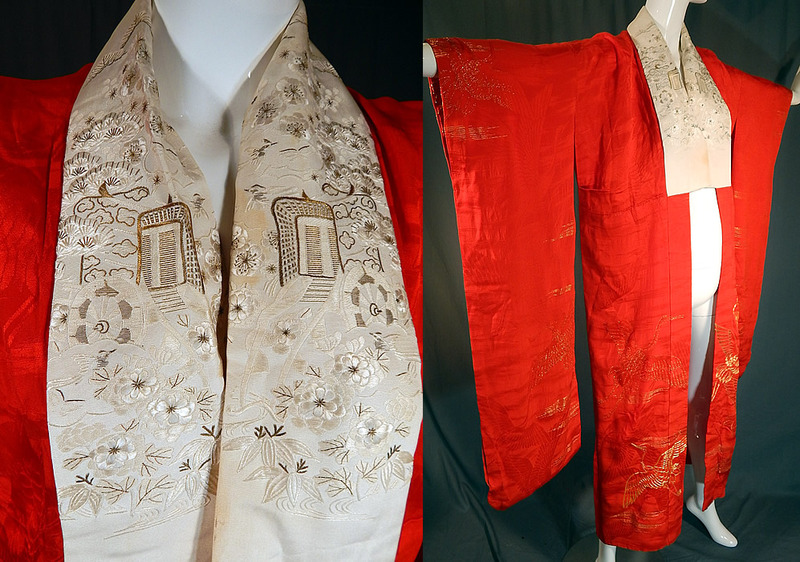 There is a white silk trim lapel collar with finely embroidered rickshaw carts, birds, cherry blossoms accented in gold thread. 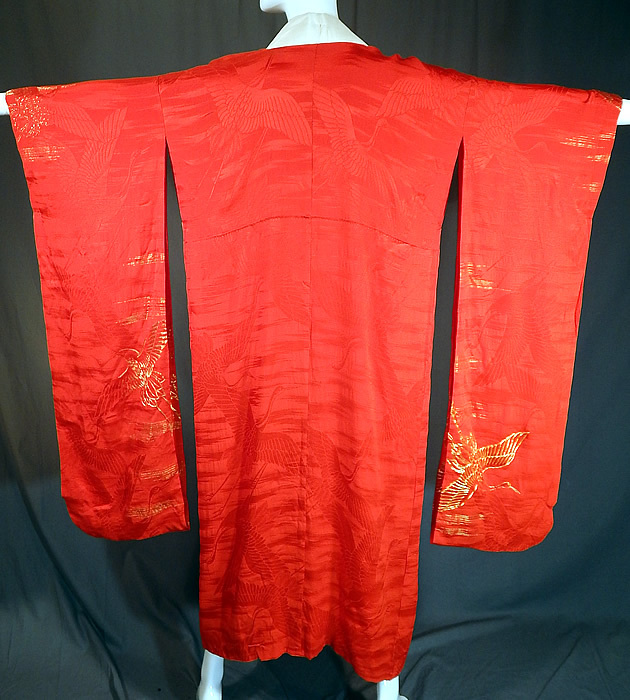 This stunning kimono has long furisode swinging sleeves, an ope front with no closures and is fully lined. The kimono measures 54 inches long, with 40 inch long sleeves, a 42 inch chest, 36 inch waist and 24 inch back. It is good as-is condition, with some small faint stains on the white collar trim (see close-up). This is a truly a wonderful piece of wearable Japanese textile art!